This week's Weekend Video is a sequel of sorts to that of last week. It's UFOS The Secret History 2. In 1957 in Brazil, Antonio Villas Boas claimed he was taken by extraterrestrial aliens into their spacecraft. This incident was the first reported alien abduction. 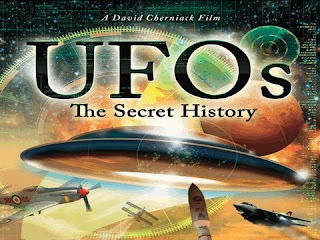 Its a series of bonus interviews and addenda to the DVD release of the film UFOs The Secret History. It presents an examination of the Extraterrestrial Hypothesis -- the notion that some UFO reports are probably explained by extraterrestrial visitation and why contact may include the alarming notion of Alien Abduction and how an advanced culture might strategize contact with an emerging civilization. While the first part focuses more on the history and how the UFO phenomenon started. This video focuses more on UFO contact and how we as a civilization may be affected by it. It is recommended to watch the first part by clicking here.